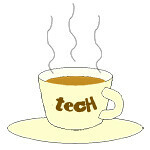 Ismail « Tech bytes for tea? Bite-sized reads about digital photography, gadgets and technology in general ~ over a cuppa tea. Dato’ Chef Ismail is the food ambassador of the Malaysian Tourism Ministry and owner of Restoran Rebung in Bangsar, Kuala Lumpur in Malaysia. tech4tea.com was invited by Tourism Malaysia to check out the restaurant and meet with the affable owner-chef. Here are some pictures that Wee Wu Neo has sent back to Singapore. Text by John Tan. Chef Ismail shares how he helped his grandmother in the kitchen since he was five, learning how to cook Malay heritage dishes over the years. Restoran Rebung is located at No. 4-2 Lorong Maarof, Bangsar (59000) in KL, near to the bustling nightlife in the capital’s Bangsar district. Siput Sedut or Belitung cooked in curry. In case you’re wondering, it is a species of Sea Snail. The interior decor is very traditional and reminds one of the typical Malay home. Get a taste of Negri Sembilan at Restoran Rebung. The 55-year-old celebrity Chef Ismail Ahmad grew up in a small village in the Malaysian state of Negri Sembilan and includes in his menu a huge list of local cuisine that diners can order a la carte or through a buffet. Nasi Lemak – fragrant rice cooked in coconut milk and pandan leaf – wrapped in banana leaf and old newspaper.